Ancient Romans introduced paved carriage ways around 2000 years ago. They were so durable that some have been preserved till date. They have been in existence in some form since. Interlocking concrete pavers were introduced after World War II and with the advances in mass production pavers have taken over the world. Interlocking concrete pavers are segmental. 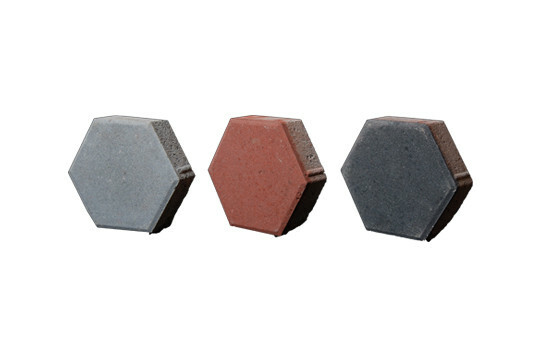 Formed of multiple small interlocking units held together through friction these pavers have excellent load bearing hard standing properties. The pavement behaves as one cohesive structural unit but embodies great flexibility in weight transmission making pavers the ideal and economic choice. SHIEELD also offers Heavy Duty Pavers that are robust enough to withstand great stress and wearing. They exhibit excellent heavy load bearing properties and are ideal for constructions like warehouses, airports, ports etc. that bear a lot of heavy duty traffic. Face mix products are two layered but produced by a single process making them single units. The top layer of about 6- 8 mm thickness is made of specially designed mixtures with varied colours rendering the pavers high abrasion and skid resistant. 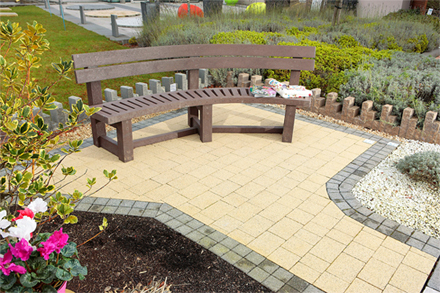 SHIEELD Interlocking Concrete Pavers are available with or without face mix. In a special procedure,the surfaces are shot-blasted under high pressure using small steel beads. The uppermost layer of fine mortar is removed so that a harmonic surface is created, in which the precious natural stones are shown to advantage.The small uneven spots created by the blasting give the pavement its structured appearance.Shot-blasted surfaces, moreover,provide a high degree of protection against slipping under wet conditions.